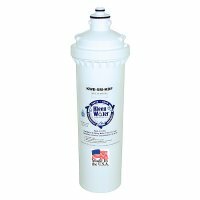 String wound industrial (commercial) water / fluid filter. Compatible with Shelco, Harmsco, Watts, 3M Cuno and all other major manufacturers. These cartridges are precisely woven of a single FDA strand of polypropylene wound around a perforated core. 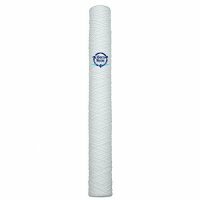 The durable construction offers impressive filtration capabilities. Made in the U.S.A. These cartridges meet the requirement of FDA Title 21 for food and beverage applications. The polypropylene construction offers a wide range of chemical compatibility. These double open ended cartridges have impressive flow rates of 7 gallons per 10 inch of cartridge length.